An Artesia man was bound over to district court Wednesday on charges stemming from a July shooting incident. 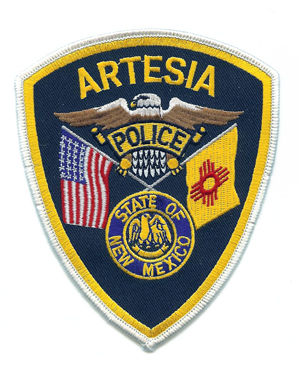 The charges stem from a July 26 incident in which Artesia Police Department officers were dispatched to the Artesia General Hospital emergency room in reference to an individual with a gunshot wound. The victim told police he had purchased a stereo that turned out to be stolen, and when the owner came to his home to retrieve it, a fight ensued, during which the victim was struck repeatedly in his head with the barrel of a gun, which subsequently discharged, grazing the back of his head. The victim did not know the identity of his assailant. Witnesses told police individuals had kicked in the door of the victim’s home and chased him into a bedroom before the shooting occurred. Following further investigation, a warrant was issued for the arrest of Jaime Segura, 25, of Artesia, on charges of aggravated battery with a deadly weapon and aggravated burglary with a deadly weapon, both felonies. Segura was scheduled to appear for preliminary examination Wednesday in Artesia Magistrate Court and was subsequently bound over to Fifth Judicial District Court.